Were the plagues miracles, or is there a natural explanation? Nahum Betzer, an Israeli engineer at the Technion Environmental and Water Resources Engineering Centre, some years ago developed a theory which explains nine of the ten plagues as a chain reaction of ecological disasters. According to him, the first plague, blood, resulted from a sudden proliferation of red microscopic organisms in the Nile. These could have blocked photosynthesis, killing the fish and making the water recede. Thus a natural breeding ground was provided for the second plague, frogs. They were killed by the terror-stricken Egyptians and the decomposing bodies bred the lice. The ecological imbalance resulted in a plague of wild animals, and cattle disease became inevitable. The ancient and medieval rabbinic sages saw system, not merely a chain reaction, in the sequence of the plagues. 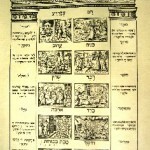 Yehudah HaLevi’s discussion of the subject in his Kuzari shows that we are not dealing with accidental or isolated events. The plagues affected every aspect of life in Egypt. They targeted water and earth, air and vegetation, animals and human beings, with the result that the whole of Egyptian society was affected. God’s purpose, as the text makes clear, was that king and people alike would know that He was God and His will could not be frustrated. Rashi quotes earlier rabbinical tradition that explains why the plagues began with the river water turning to blood. The Nile was worshipped as a god by the Egyptians, and so God first smote the Egyptian god and then the king and people. Why was the Egyptian deity attacked? Firstly, when Moses told Pharaoh to let the Israelites go because the Lord said so, the king had replied, “Who is the Lord? I do not know the Lord!”, and the king needed to be shown that compared to the Lord his own gods were nothing. Secondly, the Egyptians may have coped with the plagues so long as they felt their gods were protecting them, but if the gods were discredited they would have no-one to cry to. 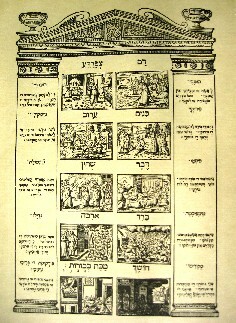 Rashbam and others point out that the plagues come in three groups, summarised by their initials in the famous mnemonic in the Haggadah, d’tzach adash b’achav. There are three threes and then the culminating plague, the destruction of the first born. In each group of three, the first two plagues are preceded by a warning and the third comes without warning, with the tenth plague announced twice. Abravanel says that before the first plague in each group Moses warns Pharaoh in the presence of his counsellors and magicians. The next plague is foreshadowed to Pharaoh on his own, because some people prefer to be spoken to without others present. When both official and private warnings do not move the king, the third plague in each group comes in public before the eyes of the people. This entry is filed under Bo, Festivals & Fasts, Parashah Insights, Pesach.